I’m on a mission to eat well and serve my family tasty food on our limited budget. 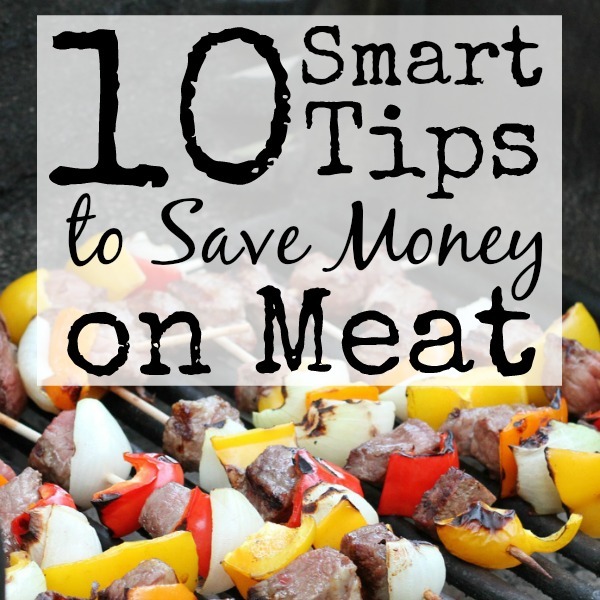 Meat can be one of the largest grocery purchases, but with these ten smart tips on how to save money on meat, you can have your meat and eat it too! The ‘buy’ price is the price per unit that you are willing to spend on food. My price might be different than yours depending on location, brand loyalty and taste differences. I don’t keep a price book, but I do know my buy price for our meat staples, such as chicken, ground turkey, sausages, and ham. A typical sale for chicken breast is $1.99 a pound, so when the price dips below that I’ll stock up for the freezer. If remembering all of those numbers is too much, create a note on your phone or write your ‘buy’ price for your staples on a single sheet of paper that you can keep in your bag. Record the item, price, unit size, price per unit, store name and date. Many stores mark down their meat 40%to 75% off about 1 – 2 days before the use or freeze by date. Think of it as the clearance section of the meat department. I have been buying marked down meat for many years and have never had a problem. In fact, I recently scored 16 lbs of meat and paid just $17.20. Many stores offer value packs of meat. For example, the price per pound is lower for a five pound package of chicken vs. a one pound. Take advantage of the value packs, especially when they are on sale, and break the pack into smaller portions and store in your freezer. The holidays, such as Thanksgiving, Christmas, and Easter are a fantastic time to stock up on meat. At Thanksgiving, Turkeys can be as low as 29 cents a pound and many grocery stores will offer a free turkey if you spend a certain amount of money within a time period. 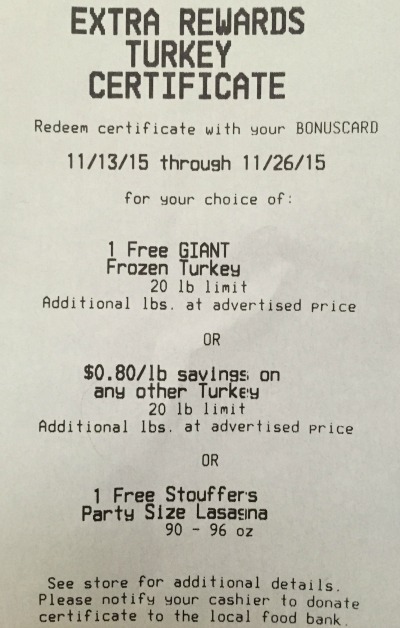 It’s not hard to spend $400 in a 4-5 week time frame, so I earn a free turkey every year. Ham will be on sale for Easter and I’ve found great bargains on sausages around St. Patrick’s Day. Also, you’ll find some of the best deals on hamburgers and hot dogs around the summer holidays. If you have freezer space, stock up. Often bone-in cuts of meat will be less expensive than boneless varieties. For example, a good sale price in my area for chicken thighs, drumsticks and whole chickens is 99 cents a pound, but the sale price for boneless chicken is around $1.99. Yes, you are paying for the bone, but those bones give you a lot of flavor and juiciness. There’s a reason why boneless chicken breasts dry out quickly. I make tacos quite a bit and one way to stretch the meat further is to add a can of black beans. After browning the meat, add your taco seasoning, water, and a can of black beans that you’ve drained and rinsed. This will add extra servings to your taco meat for less than $1. It is typical for recipes to call for one pound of meat, but you can often get away with using as much as half that amount. For example, use a half pound of ground meat for your spaghetti sauce, instead of a full pound, and cut a larger chicken breast to serve two people instead of one. Also, you can use less meat, but add fillers, like beans, rice, or oats as I suggested in #6. Americans waste as much as $600 a year on food. That’s about what a typical family might spend on food in a month. Don’t forget about the food in the fridge. If you know it won’t be eaten in time, place leftovers in a freezer container, label, and store in the freezer. You’ll be thankful later. As I stated in #5, the bone is where the flavor is and making a bone stock from a whole chicken or turkey, bone-in ham, and bone-in beef is very easy. Anytime I roast a whole chicken or turkey, or buy a rotisserie chicken I make homemade chicken stock. You can also do the same with a bone-in ham and beef. Stretch your dollar further by making bone stock. Read Two Ways to make Homemade Chicken Stock for my methods. It is possible to find coupons on meat. I have found them on brands’ websites, my favorite grocery apps, the Sunday newspaper circular, on meat packages, and grocery store’s websites. To save even more, stack store sales with grocery apps, store coupons, and manufacturing coupons. Recently, I found a coupon in the Sunday circular for $1.50 off 2 packages of name brand sausage. I was so excited to find two packages of this brand marked down to $1.50 each. I used the coupon and was able to buy both packages for a total of $1.50. I think 75 cents for one package of sausage is the best deal I have ever scored. 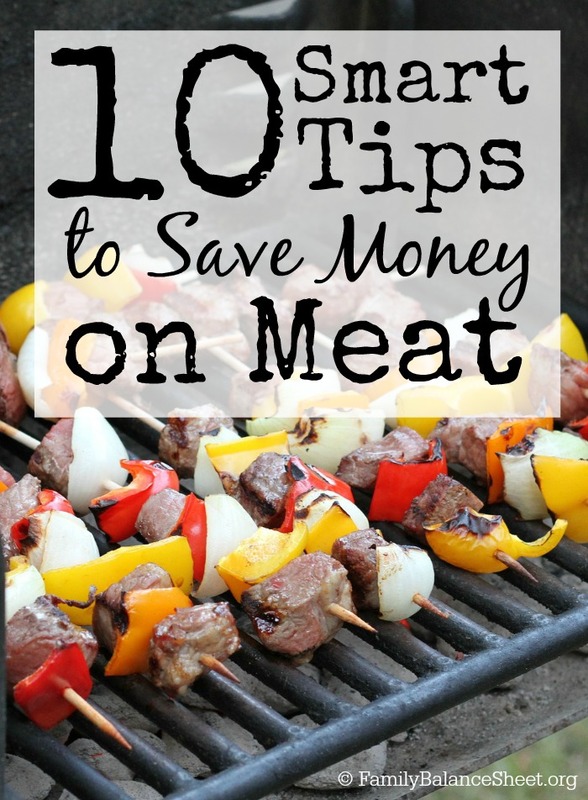 Do you have any additional tips to save money on meat? Please share in the comments. I keep a Kosher home, and it is very rare to find sales on meat. However, I have secretly started adding TVP (texurized vegetable protein) to my ground meat for use in burgers, meatloaf, etc. I reconstitute it with water and a beef boullion cube. Add to meat and cook as usual. I inwardly laugh each time I hear how my meals have “gotten better”!! I label my packages with TVP in the freezer as “Ground Beef +” so no one knows but me. Once cooked, you really can’t tell a difference, but it helps spread the meat. There is an IP available for $1 from Bobs Red Mill right now, too. Hi Jodi, Thanks for the tip. I had never heard of TVP, so I Googled it. I love how you stretched your meat dollar and made your family happy at the same time. That doesn’t always happen, so kudos to you. Thanks for reading and taking the time to comment.